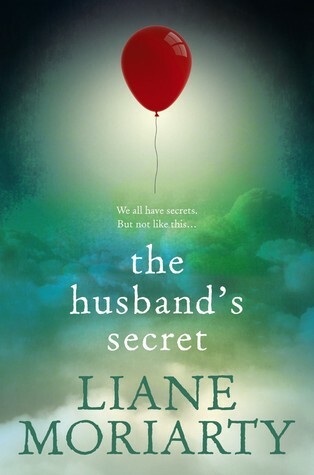 The husband’s secret is the second novel I’ve read by Australian Author Liane Moriarty, and I couldn’t put it down. It is written in three different viewpoints. Cecilia Fitzpatrick is a mother of three girls and a powerhouse on Sydney’s North Shore. She discovers an unopened letter her husband addressed to her years ago, to be opened on the event of his death. Cecilia is itching to open it, and when she finally does, her life will never be the same. Tess O’Leary has just found out her best friend Felicity (who also happens to be her cousin) and Tess’s husband, Will, are in love. Tess takes her son and flies to her home town of Sydney to stay with her injured mother so the two most important people in her life can have their affair and life can return to normal. But will it? For Rachel Crowley, spending time with her toddler grandson Jacob alleviates the grief she bears from her daughter Janie’s murder many years earlier. Working at St Angela’s catholic school also keeps her mind occupied. Things haven’t been so bad, until Rachel’s son Rob and daughter-in-law Lauren tell her they are moving New York. Rachel’s grief is stirred up to new heights, as the anniversary of Janie’s death approaches. When the three women’s worlds collide, secrets from the past come to light and each of them will face new hardships they hadn’t ever expected. The Aussie sense of humour used throughout helped to tone down the darker subject matter. Liane Moriarty captures the essence of her characters along with Sydney’s Northern suburbs extremely well (dramatised, of course). The character’s themselves weren’t necessarily people I felt inclined to like, with the exception of a few, but I could definitely sympathise with them. Their reactions to what happened in the past and also what was happening in the present were interesting, and not necessarily what I think I would do in the same situations. I loved the first half of this book and I waited with anticipation for the content reveal of the letter — although I suspected what it would be by the time Cecilia actually opened it. I can’t really write much more without spoilers. There were a couple of ways I felt let down by the husband’s secret. Tess’s story felt incomplete. The ending also, despite the epilogue. But aside from that, I enjoyed it and I know it will keep me thinking. I rate this 3.5★ stars, but I’ll round up to four for Goodreads and the like.